Величина овог приказа: 392 × 600 пиксела. 2 друге резолуције: 157 × 240 пиксела | 496 × 759 пиксела. 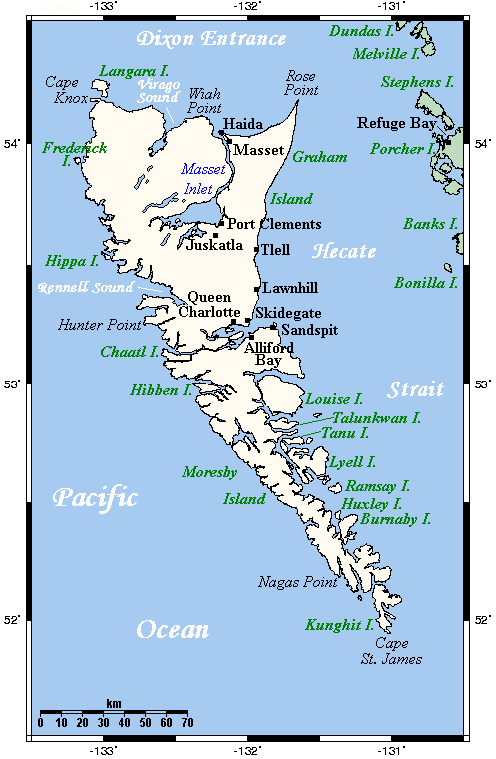 A map showing Haida Gwaii's main towns and other physical features. This map's source is here, with the uploader's modifications, and the GMT homepage says that the tools are released under the GNU General Public License.